It all started out as a joke. You know how some people respond to an irritatingly serious problem with humor? Well, these guys did just that. We’ve all been hearing about the antenna problems of the iPhone 4, and even the press conference that Apple held has not really given concrete solutions. Instead of banging their heads against the wall (like some people you may know), Szymon Weglarski and Jon Dorfman decided to have some fun. 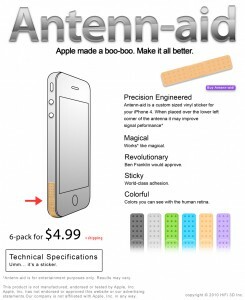 The two designers designed and created Band-Aid looking things that fit exactly onto the bottom left part of the iPhone 4. Dubbed, Antenn-aid, the product is being sold on Etsy, where the designers opened a store about a week ago. Little did they know how much of hit their product would be! Since they opened the Etsy store, they have been swamped with orders. Indeed, if you check the store now, you will see that they have announcement to the effect that they are behind 4 to 5 days in delivering orders. It’s but understandable as they are not following a mass production set up. 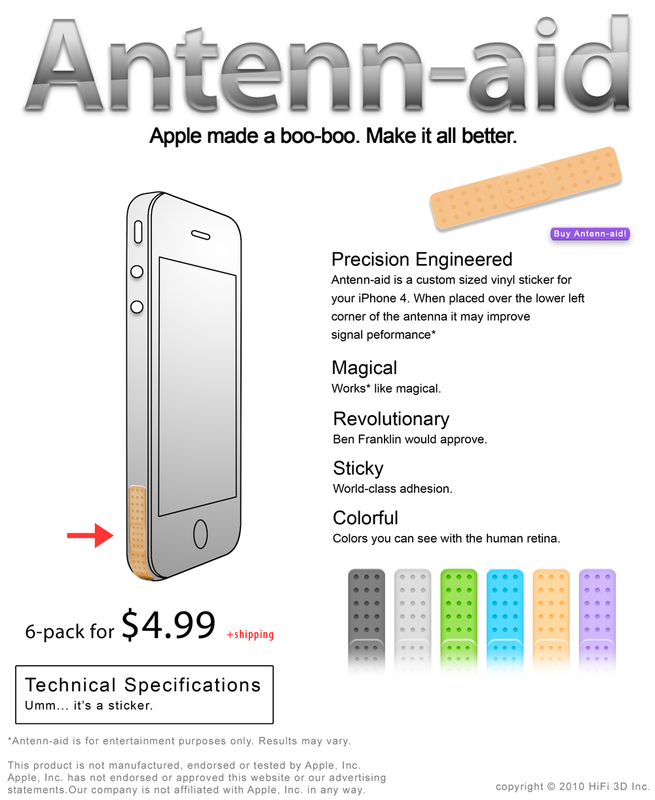 Buy the Antenn-aid for $4.99 (6-pack).